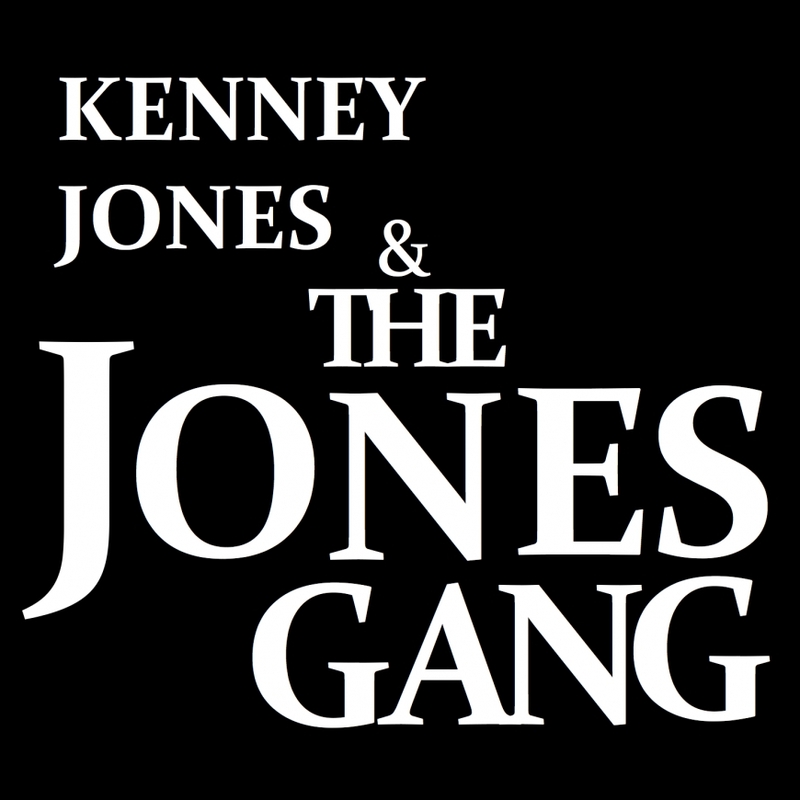 Drawing from all their past associations Kenney Jones and Robert Hart (Small Faces, The Faces, The Who, Bad Company and many others) the core members of The Jones Gang don’t need to be reminded about the history of rock. After all, they helped shape it! 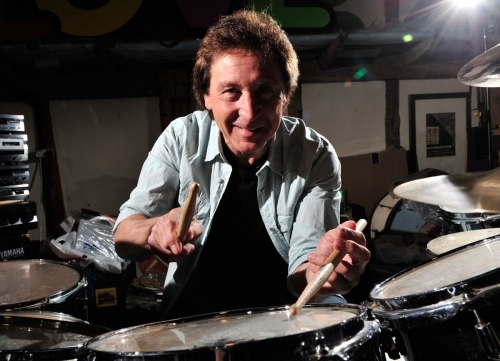 As the drummer with The Small Faces, Faces and The Who, Kenney Jones has been at the heart of three of the biggest bands ever to have come out of the UK. From the moment Kenney began drumming in the front room of his parent’s home in Stepney, East London, he knew music would play a central role in his life. At the tender age of just 15, being part of a band had become a way of life. In 1965 when Jones was 16 he had his first hit record when he shot to fame with The Small Faces, who were at the heart of the Mod revolution which swept Britain at the time, and a band who have been cited as a major influence on musicians during the 50 years which have followed. 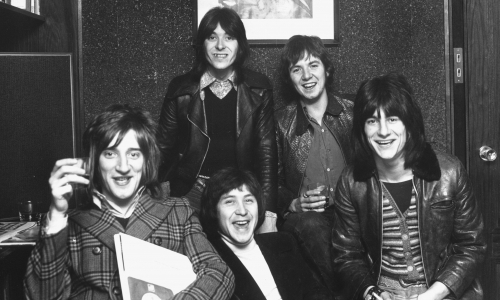 When The Small Faces split Kenney was instrumental in forming The Faces and inviting Rod Stewart to feature as lead singer in a line-up which also included Ronnie Wood, Ian McLagan, and Ronnie Lane. The Faces took the rock world by storm in the early 1970’s on both sides of the Atlantic and became one of the most raucous, fun-loving bands of the time, with a fanatical following. 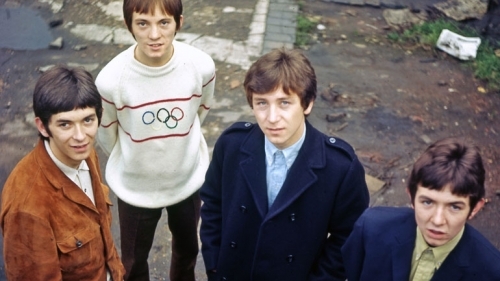 The Faces split in the mid-70’s and Kenney along with Steve Marriott, Ian McLagan and new man, Rick Wills, re-form The Small Faces, touring for a couple of years and making two albums before deciding to call it a day. 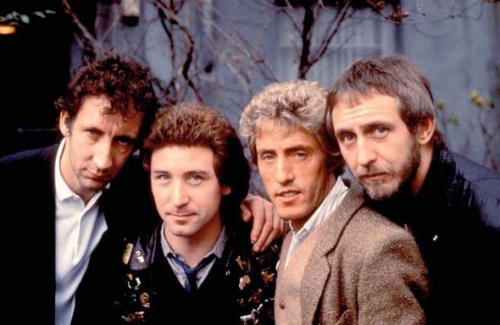 After leaving The Who, Kenney hooked up with former Bad Company singer, Paul Rodgers to form The Law in the early 1990’s, releasing a critically acclaimed album ‘The Law,’ which reinforced Kenney’s reputation as a gifted and talented musician. Although The Small Faces, Faces, The Who and The Law have been the four main bands in his life, Kenney has also been much sought-after during his career and has performed with some of the biggest names around. He has recorded a single of his own called ‘Ready or Not,’ and has appeared on many albums including those by The Rolling Stones, Andy Fairweather Low, Joan Armatrading, Marsha Hunt, Mike Batt, Pete Townshend, Chuck Berry, Jerry Lee Lewis, David Essex, John Lodge and Wings. This is not to say that The Jones Gang is just a trip down memory lane. The band has its own unique musical imprint and one that has a very contemporary feel, as well. 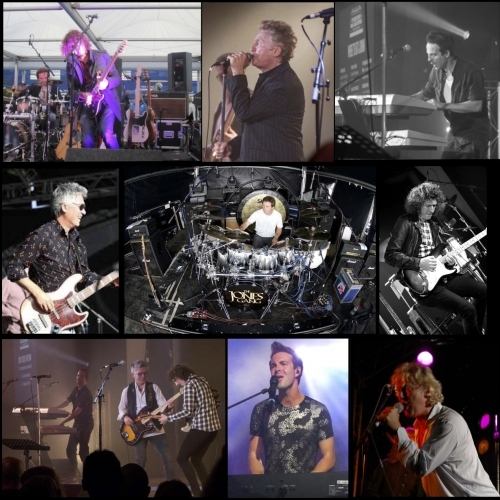 Unlike the formation of other groups The Jones Gang came together as a fluke when Jones assembled the original band to play for a charity show held at his own Hurtwood Park Polo Club. “You couldn’t throw a band like that together and form a so called ‘super group’, which we were not, even though everyone was well known” say’s Jones. “Through my polo club endeavors now and again, people were asking me if I could put a band together for obvious reasons” says Jones. I always declined it and then a couple of times I did it. For one event I didn’t have a singer, and it was Boz Burrell from Bad Company who said “I know a singer who sings better than Paul Rodgers with knobs on.” He put me in touch with Robert and once I heard Robert’s voice I thought this is great! The band continued rehearsing, writing and recording, producing their debut album Any Day Now. One track (Angel) had the highest debut at Number 15 in the US Billboard Charts surpassing well known artists such as, Mariah Carey, Lil’ Kim and Nine Inch Nails. The track then went on to reach Number 1 and was the number 1 most added on the FMQB chart for 3 weeks in a row, the first single to do so in years. Much of the Jones Gang album harkens back to that classic Faces sound. One track Gypsy Lane which features Ronnie Wood and Ian McLagen is an ode to the late Ronnie Lane. There is no doubt the excitement around the band is a result of its amazing historical past, especially that of Jones. Joining Kenney and Robert in the new line up is Johnson Jay an Australian guitar virtuoso, singer and songwriter currently based in London, Mark Read a British singer / songwriter, best known as a member of the band A1, one of the most successful Pop bands of the late 90s early 2000s. and Pat Davey one of the finest and funkiest Bass players around. Robert Hart is a British rock vocalist and songwriter. Hart became the frontman with the Jones Gang in 2001. His association with Kenney came via Boz Burrell who played with Robert in Bad Company and the ‘gang’ was formed by Hart, Rick Wills and Kenney. The bands debut album release Any Day Now’s track Angel had the highest debut at Number 15 in the US Billboard Charts surpassing well known artists such as, Mariah Carey, Lil’ Kim and Nine Inch Nails. The track then went on to reach Number 1 and was the number 1 most added on the FMQB chart for 3 weeks in a row, the first single to do so in years. Angel was written by Robert and Russ Ballard. Chris Blackwell signed Hart to his Island Records label in the 1980s and teamed him with Bernard Edwards. The two men produced collaborated on several projects, including the soundtrack for the Whoopi Goldberg film, The Burglar. He became the first English artist to be signed by Disney-owned Hollywood Records, and worked with Russ Ballard on his own self-titled album, Robert Hart, which charted in more than 18 countries. While touring following the release of his album in 1992, Hart was approached by Mick Ralphs of Bad Company and asked whether he would be interested in fronting the band. For the next seven years Hart toured with them. He also co-wrote two of the band’s albums, Company of Strangers and Stories Told & Untold, three live albums. Over the years Hart was also been involved in projects with Andy Taylor of Duran Duran, Peter Maffay, members of Chic and Go West. He is currently also the lead singer of Manfred Mann’s Earth Band and the band Diesel. He also now performs as a solo artist, and with former bWhitesnake members in the band called Company of Snakes and with his own band XBad Company, with Dave “Bucket” Colwell and Garry “Harry” James (ex members of Bad Company). He has also written several Number 1 hits, and written a number of songs for film soundtracks, whilst being signed to Roy Orbison’s Still Working Music, Disney’s Hollywood Records, and Island Records. .
Mark Read is a British singer / songwriter, best known as a member of the band A1, one of the most successful Pop bands of the late 90s early 2000s. The band were more recently seen on ITV’s The Big Reunion and as part of the major arena tour of the UK. A1 achieved great success across the globe, including two UK number 1 singles, eight Top Ten hits, five studio albums and countless awards, including MTV, Smash Hits, Disney Channel and Brit Award for Best Newcomer. The band still has a huge worldwide following. An accomplished musician, Mark has played the piano and provided vocals to numerous album projects: film soundtracks (including Harry Potter), the video game Little Big Planet, and for many winners of X Factor and Britain’s Got Talent. Mark has also written songs for a number of international artistes, including Michael Bolton, Boyzone, The Hollies, John Barrowman and Charlotte Church. As a songwriter, Marks proud ’s proudest moment to date was having a song he co-wrote with Robert Hart ‘We Will Remember Them’ recorded by an all-star cast – including Michael Bolton, Robin Gibb and Paul Carrack and Kenney Jones – with all proceeds going towards Help for Heroes and Royal British Legion. Mark performed the song to a rousing ovation at the Royal Albert Hall in 2009. Mark produced and co-wrote the soundtrack to Noah – A Musical Adventure, which toured the UK successfully in 2014 and 2015. Presenting and voiceover credits include work for MTV, BBC, ITV2, Cartoon Network, Tiny Pop, Kix, The Vault and The Sun Online. Johnson Jay is an Australian guitar virtuoso, singer and songwriter currently based in London. He has worked with Grammy, Ivor Novello and Aria award winning producers and musicians. He has just completed a West End run of the London debut of ‘Lazarus’-David Bowie’s final work. He played guitar 1 and was selected in advance by musical director and orchestrator ‘Henry Hey.’ He plays regularly in Kenney Jones’ ‘The Jones Gang,’ as well as with Mollie Marriott and Daphne Guinness. David Bowie’s long time producer, Tony Visconti, describes Johnson Jay as ”One of the best guitarists I’ve ever worked with..” and calls upon him often for his expertise in the studio. In between touring and studio time, Johnson Jay is currently writing and composing his own music and collaborating with other artists. With a distinctive Americana sound, somewhere between Brad Paisley, Keith Urban and Lyle Lovett, he crosses traditional country music and southern rock with romantic and humorous narratives. Pat’s professional musical career started in the early 1980’s when he worked with Tom Robinson on a tour of Japan and subsequently recorded ‘Midnight at the Fringe’, an album taken from ‘live’ recordings made at the Edinburgh Fringe Festival in 1983. He was signed to Polydor Records in 1989 with the band ‘Seven’ who toured the UK several times. Seven recently reunited to release their ‘long awaited’ album Seven through Escape Music. He has spent many years with bands of all genres worldwide and has performed in London’s West End. Recently he has been working with Guitarist Jim Cregan (Cockney Rebel, Family, Rod Stewart) in ‘Cregan & Co’ fronted by vocalist Ben Mills. A collaboration with singer Robert Hart (Bad Co, The Jones Gang, Manfred Mann’s Earth Band,) resulted in the album ‘Into the Fire’ on Escape Records with FM Guitarist Jim Kirkpatrick and MMEB Drummer Jimmy Copley. Pat continues to work as a session musician and with The Jones Gang and Best of British Rock featuring Kenney Jones, Jim Cregan and Josh Phillips (Procol Harem). Currently he is working as Musical Supervisor on The Small Faces musical ‘All Or Nothing’ which opened successfully in London last year and is touring the UK again in 2017.